download the Shiftah App and sign up! Whether it’s your daily commute or a trip to the shopping mall, whatever you use your car for – there is a new way to generate extra income. Capitalise on your current car journey’s and get paid some extra cash to do so. Simply drive as usual and earn per each kilometre of your trip! A car wrap is a piece of vinyl which has been digitally enhanced either with wording, pictures, logos that is applied to your car. 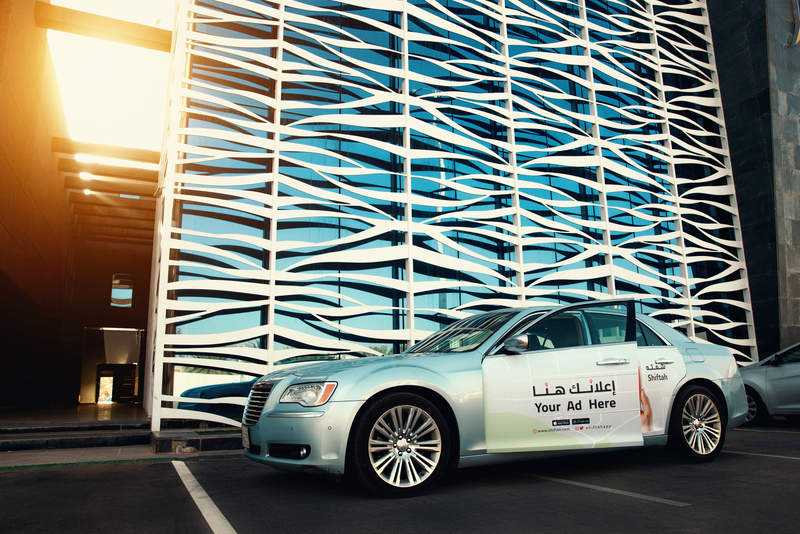 Shiftah will organise a time and date for an appointment for you to drop your car off at one of Shiftah’s installation depots. 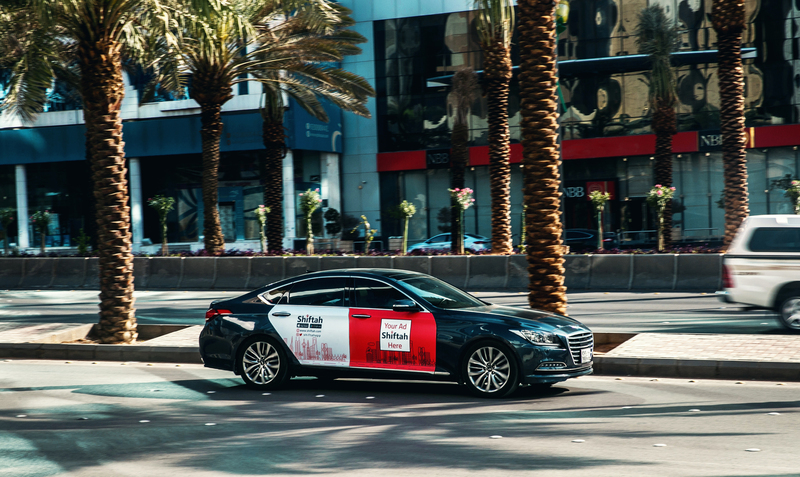 Shiftah’s team of professional installers puts the decal on your car and takes it off at the end of a campaign. 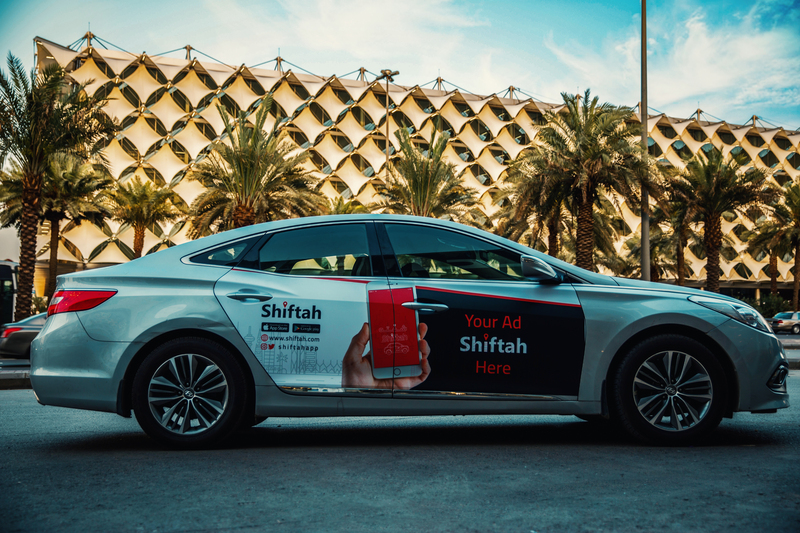 Shiftah helps you earn money as you drive! Compensate for your vehicle expenses such as gas, insurance, car washes, and parking by driving with us. 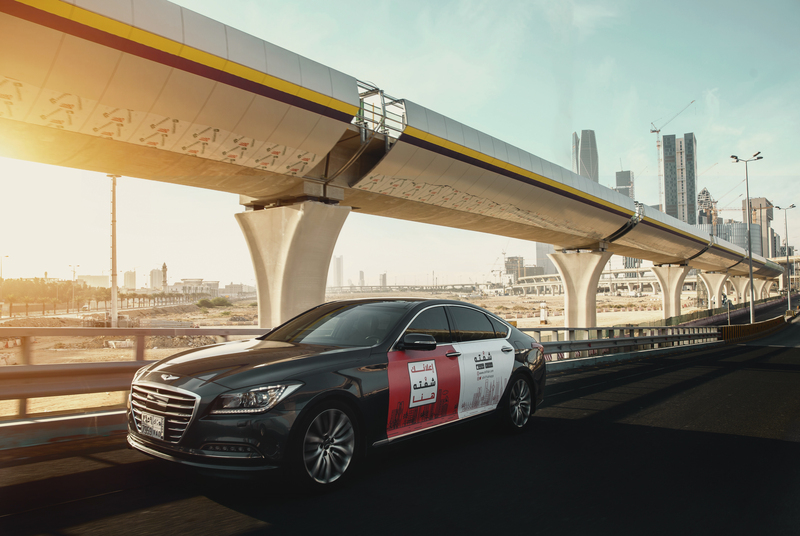 Drivers can earn anything from SAR1200-SAR3000 per campaign – all you simply have to do is drive as usual and earn per each kilometre of your trip! Take the driving seat of your earnings and monitor via the Shiftah App to keep track of kilometres driven and watch the cash come rolling in.